Some time back, my husband expressed an interest in homebrewing. A bit later, I saw an infographic of America's beershed in Food, An Atlas, and learned that most of the world's brewer's yeast comes from just a handful of labs, one of which is located in San Diego, CA. And shortly after that, we happened to make a trip to San Diego to visit some family. Obviously, a visit to White Labs was in order. 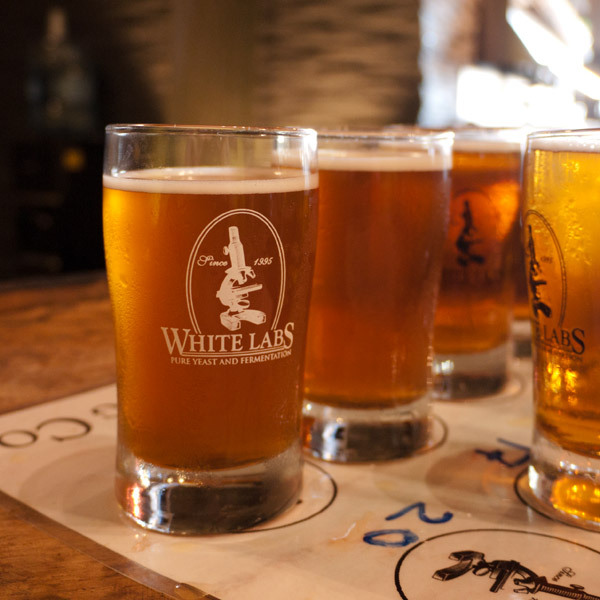 If you're a home brewer (or just a beer geek), White Labs is absolutely worth visiting the next time you're in the San Diego area. Don't expect a Willy Wonka experience — there's no dipping into the vats or licking the equipment. 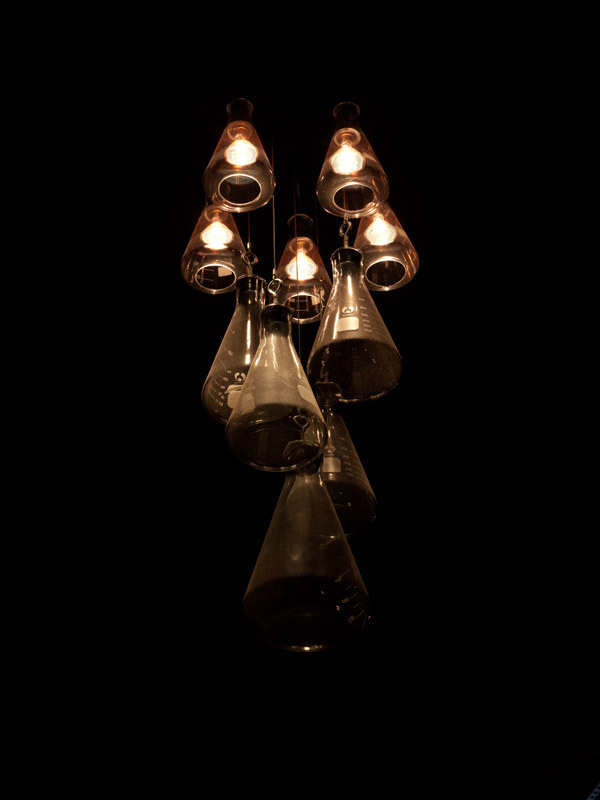 The tour gets a peek at the production area, but no entrance to the sterile labs, where yeast strains are isolated, banked, revived, and grown to supply the world's breweries, wineries, distilleries, and hobbyists. But there is a tasting room. And it will change the way you think about yeast. Beer = water + grain + hops + yeast. 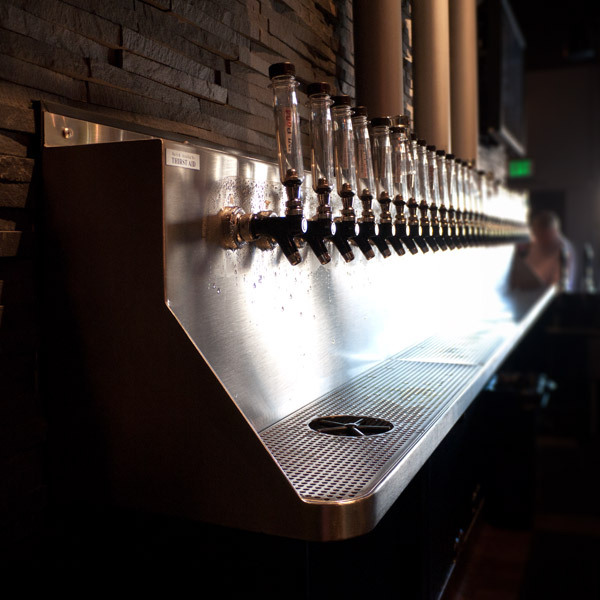 The yeast turns the sugars from the grain into alcohol plus carbon dioxide plus over 500 different esters, phenols, and other compounds that affect the beer's flavor and aroma. That banana note in your Hefeweizen? Isoamyl acetate. The spicy notes in your Christmas ale? Methyl isoeugenol and myristicin. organic and fatty acids taste and smell like sweat, barnyard animals, sour milk, and so on. Some of these compounds smell or taste different at different concentrations. Ethyl acetate, for example, smells fruity at low levels, but at higher concentrations it smells like nail polish or solvent. Different yeasts produce different combinations of aroma and flavor compounds. Typical American weizen yeasts won't give you the same banana-clove components as their German counterparts. Many English ale yeasts produce levels of diacetyl that would be considered a negative in other beer styles, but are acceptable in the sweeter, maltier beers that these yeasts produce. 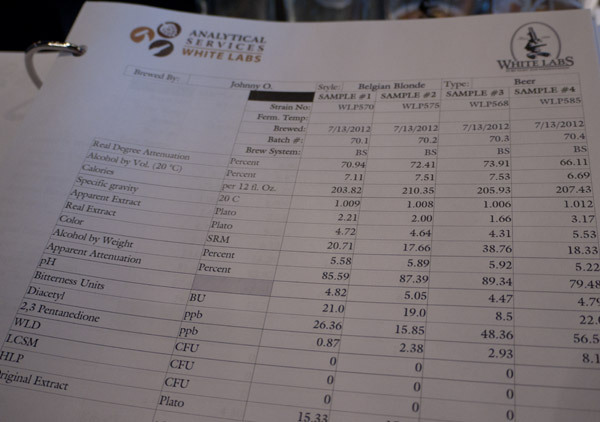 Even within a given style, each yeast strain has a slightly different profile. Yeasts also behave differently in different situations. Some can handle more sugar, or higher temperatures, or higher alcohol content; conditions in which other yeasts would stop working or produce undesirable flavors. A yeast that gives you a great beer with one malt won't necessarily produce good results with another one. Now add in the fact that the malts, hops, and even the water you use each bring their own flavor and aroma characteristics to the table. 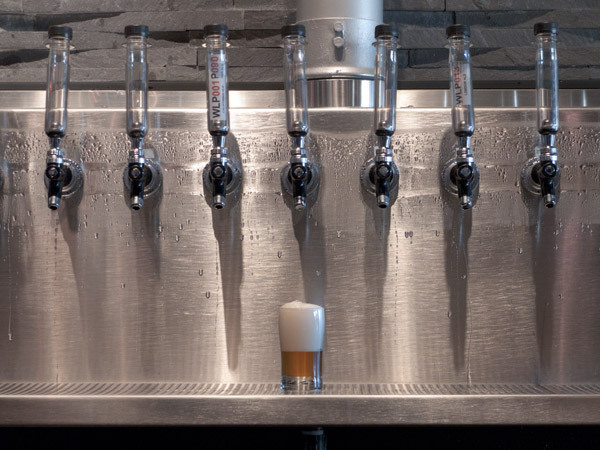 So how do you balance all these factors to create a great beer? 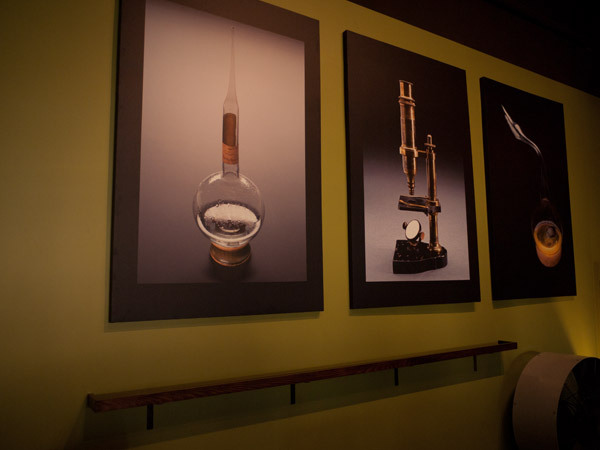 The White Labs tasting room features a rotating menu of experiments and examples of the impact of yeast. They pick a beer style, choose a recipe, and brew a half-dozen or so small batches, identical in every way except for the yeast. The results — some good, some not so good — go on tap. 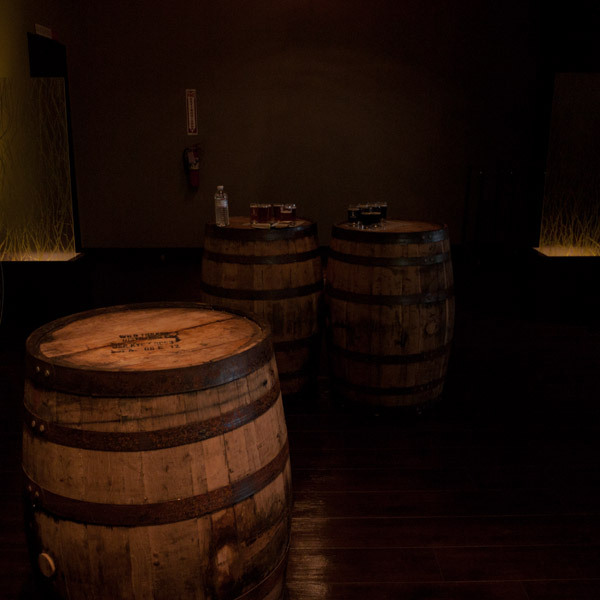 With thirty-two taps and three casks, this gives visitors a lot of tasting opportunities for side-by-side comparisons. Try yeasts that aren't available at your local supply shop. Taste the same beer with different yeasts, then try a slightly different recipe in the same style. See how the same yeast performs in completely different styles of beer — nice for larger-scale brewers who don't want to deal with maintaining a bunch of different yeast strains. On the day we visited, there were five test batches available with three or four variations each — a brown ale, two hefeweizens, a saison, and the official White House Honey Ale Beer recipe (fan favorite for that test was WLP005, the British Ale Yeast). There were also a few singletons — a belgian dark, an IPA, a brown porter, and more saisons — from test batches whose other variations had already sold out.